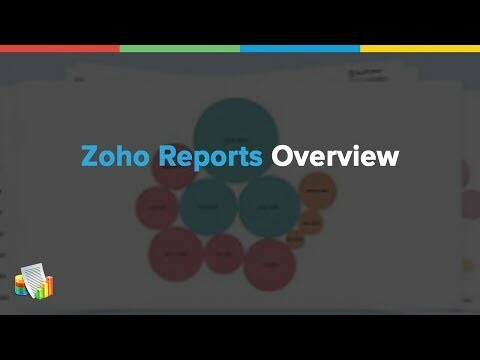 Zoho Analytics is an ultimate online reporting and business intelligence solution that empowers the organizations to visually analyze their business data efficiently and create insightful reports and dashboards thereby allowing making informed business decisions. Zoho Analytics solution provides effective data connectors for instant reporting such as Google Analytics, cloud storage, database, Salesforce CRM, and many more. Rated as a leader in G2 Crowd's 'The Winter 2016 Business Intelligence GridSM1 report, Zoho Analytics helps the businesses create reports in minutes with drag-and-drop report designer. Businesses can gain insights that provide multiple times the value of what they pay as Zoho Analytics subscription. Accessibility to Zoho's broad suite of business apps ranging from CRM, Mail, Project management and more makes it more desirable. You can connect to both relational databases like Oracle, SQL Server, MySQL, PostgreSQL, MS Access, Teradata, etc. and NoSQL databases like MongoDB, Cassandra, Hadoop/Hive etc. Connectivity to Microsoft SQL Azure, Amazon RDS and Amazon Redshift cloud databases are also supported. Connect with popular business applications like Zoho CRM, Zoho Books, Zoho Projects, Zoho Creator, Zoho Recruit, Salesforce CRM, Google Analytics, Google AdWords, QuickBooks, Xero and Zendesk through ready made connectors. Inbuilt connectors apart, if you have data in any online/offline applications, you can use our powerful data import & integration APIs to build a connector quickly. Zoho Reports' architecture allows you to blend & merge data from across different sources to create meaningful business reports. For example, combine your marketing spend data in Excel files or AdWords, with your sales data from CRM, to create a spend vs. sales report. Combine multiple reports into a single beautiful dashboard, using a drag-and-drop designer. Insert images, formatted text, widgets and web components in a flexible designer layout. Make it easier for your executives and users to track KPIs (Key Performance Indicators) effectively. Anyone to whom you privately share your reporting database, tables(data), reports and dashboards for Collaboration is considered a "User" in the Zoho Analytics pricing model. A user is identified by his/her unique email address, with which their Zoho Analytics account was created/registered. Suppose you subscribe to a Zoho Analytics plan for 5 users, You can privately share the data/reports in your account and collaborate with 4 other persons. Now your Zoho Analytics account is said to have 5 users. In Zoho Analytics, a row or record is defined in the same context as in a database. In simple terms, a database table consists of rows (records) and columns (fields). Each row in a table represents a set of related data and has the same structure. 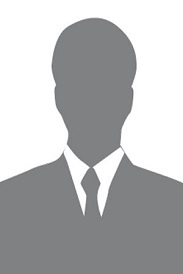 For example, in a table that represents "Employees", each row would represent a single employee record. The number of rows shown in the pricing plan above is the sum of all rows/records stored across all your database tables in your Zoho Analytics account. As a measure of size, 1 Million simple rows would be equivalent to 1GB or more in data size. However, this can vary based on the number of columns and the type of data contained. Q. Can I sign up for Free Plan or Trial and upgrade later? Sure, you can sign up for the Free plan or the 15-day Trial offered in other plans. Try the service and see if it meets your needs. If it does, you can upgrade to a paid plan anytime. Your data will be safe and retained fully on upgrade. Even if you do not upgrade to any paid plan, you can continue to enjoy the Free Plan always. Q. Can I upgrade, downgrade or cancel a plan at anytime? Would like to see a little more customization in Projects. Would like to see more tables integrated from Projects to Reports. One of the reasons why I choose it the most because Zoho Reports integrates seamlessly. It can report in a variety of ways such as charts, graphs, etc. and built with a lot of features like report sharing, mail scheduling which seems to be extremely useful. It is very easy to implement and can create a relational database with ease. Although Zoho Reports is the extremely useful app it has some negative aspects also. If you want to use it to the fullest, you must go through the high learning curve. Sometimes, the importer gets unsteady and on the other hand, sometimes you need to generate more and more info to work on some reports. For using slabs, its number of users is limited.